Part 1: Is your "trend" worthy? Before incorporating something "hot" and "trendy" into your event, it's worthwhile to weigh the benefits of the trend against its potential harm. Harm? Well, we're not talking about any deep, lasting effects on your attendees, but sometimes doing something trendy for the sake of trend can have a negative effect on your event overall--especially if it's not thought out. Some examples of trends that we've seen that have obvious benefits, but that also have drawbacks that are worth measuring against the actual impact they might have at an event. Often times, the difference that they make is minimal compared to the amount of hassle or time one has to spend encouraging attendees to get on board with the application/trend. Creating an event hashtag and using it to start discussion, recap presentations, and engage attendees in the ever-so-trendy social media world seems to be riding a wave of popularity. In some events, however, we've already seen this trend come and go; a brand-new thing one year that doesn't quite pan out. The fizzle puts it on the do-not-repeat list for the next event, because the hassle is often not worth the payoff. We've seen some truly unique interactions come out of the Twitter hashtag--participants can engage personally with a keynote speaker and get questions answered that wouldn't normally come up at the event. Attendees can engage with each other in a less formal, peer-to-peer way. Twitter feeds at the event can give a real-time pulse of what's going on, and can help solve attendee problems/answer questions at-moment. The hashtag feed gives you an opportunity to make the event encompass the entirety of the time together--not just the general session or breakouts. Adoption has generally been low; people either don't have a Twitter account to engage, or don't want to use their own personal account for a business event (and don't want to create a new account for the sole purpose of the event, either. The few people who *do* end up participating in the Twitter feed tend to be heavy users (there isn't a lot of moderate participation), and have their own cliquish event discussion apart from non-using peers. This also leads to nose-in-the-phone syndrome during event time. 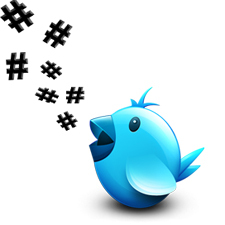 Generating enough use for the hashtag/feed is continual work; presenters, materials and staff are continually "marketing" the hashtag--or it doesn't get used. Apps: True value or phone clutter? Many companies have invested in making their own smart-device "apps" for an event. This seems to be particularly common in events where the audience is external (like association meetings), though we've also seen internal event application. Logistics--like agendas, housekeeping, where-to-meet, when to check out, etc. can be updated in real-time and paperlessly. Allows for internal, somewhat-more-secure networking between attendees and things like quick attendee profile access, access to speaker bios, etc. Enables branded access to the event in a way that extends beyond breakouts and general sessions. Requires a dedicated app manager and, also, dedicated staff to assist in download and instruction for attendees. Many apps we've seen have had various complexity and functionality issues; i.e. loading and navigating the app was slow enough to make it virtually useless. Compliance and adoption tends to be low: company devices often restrict the download of external apps, many attendees don't want an additional program on their personal phones, some will neglect or forget to download the app before the event, etc. Remember when a lot of events had Facebook Pages, trying to incorporate social media almost in a for-its-own-sake social media push? That trend fizzled quickly with concerns over personal and professional privacy. However, some companies are encouraging the use of other up-and-coming social media darlings in a more piecemeal, personal way with Vine and Instagram. Human element: Little Vine videos and Instagram pictures really capture the *people* that are at your event in a way that your event photographer might not be able to do. These can be great mementos and reminders of the event post-show. Capture cool moments: Inevitably there are many little "viral" moments at an event that become running jokes or themes. Capturing and displaying them gets your audience involved and actively participating in the event. People are already utilizing/familiar with these technologies. There is a potential for wider exposure of your event through your attendees' existing networks. On the other hand, there is potential for wider exposure of your event through your attendees' existing networks. The public nature of these mediums makes it an uncontrolled element, and attendees may not want to mix professional and personal personas. Incrimination. If your VP has a few too many cocktails at a networking reception and lets a bit of proprietary information slip...now you have it on record. Sure, an after-hours karaoke meet-up for attendees is a fun idea--especially if they've had a full, productive day in working sessions--but out of the context of the event...in a public space...in the hands of the media...will it look like a boondoggle? Sensational moments: Budget-blowing distraction or Millennial attraction? Recently we were at a presentation geared toward making events attractive to the Millennial generation. The presenters suggested creating sharable moments--big, sensational elements in an event that attendees couldn't resist telling their friends about. This isn't something that's new for this generation--companies have been doing big event openers for ages--but what goes around comes around, and the sensational moment is trending yet again. Sharable: Attendees want to talk about a great big-name comedian, a personal fireworks show, a giant character from their favorite show, a cool meal presentation, etc. Having a sharable moment can generate buzz for your event. Thoughtfully crafted, a sensational moment can fit with the brand or theme of your event. A big opening sets the tone and expectation at an event. Hard to live up to. If your first moment of an event is a huge gospel choir leading everyone into the room, having your extra-dry VP give a finance update is going to seem especially painful. You don't want there to be too much up-and-down at your event; the energy level should increase not crash and burn. Often times, these sensational moments don't further the message. So the impact is superficial, and not sustainable. To make a true impact, budget is often needed--and often lots of it. We had a client that wanted to make a huge deal of raising a ship's flag on stage: multiple people, lights, sound, everything. In reality, however, the flag was about 6' total and took about 4 seconds to raise--so it looked ridiculous. Is the budget worth the moment of impact is a question that needs to be considered very carefully--especially if the moment isn't going to have an impact throughout (or after) your event. I'm sure we're missing a few trends (flash mobs still haven't died out entirely), so if you have any other suggestions feel free to share them. Is it "worth it" to your attendees? Is the extra effort giving you a big enough payoff? Because if it doesn't do ANY of those things, then incorporating a trend doesn't make your event fresh--it just adds a cumbersome element.